I'm still haunted by the music leading Cheong to the sea, and announcing the janggu drummers. 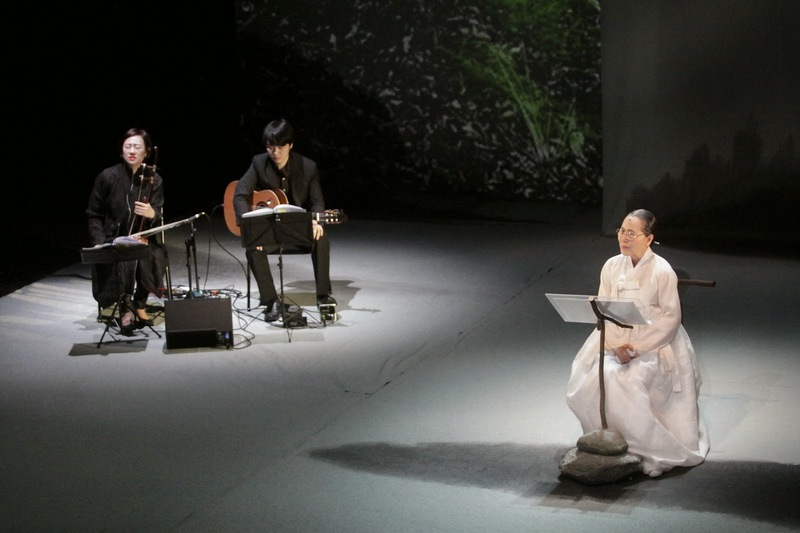 And ever since last spring, I've also been haunted by PARK Jeong-ja's voice and performance in Incheon's Namdong Arts Hall. 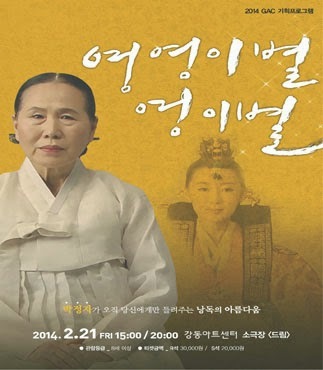 In this theatrical interpretation of KIM Byeol-ah's "Farewell Forever and Ever, Farewell Forever" ("영영이별 영이별"), she is Princess Jeongsun, the wife of King Danjong, at a turning point in Korean history. About the story of this king that never was and the Korea that never was, see "King Danjong and Korea's Curse".